Exhibiting on booth 5157, the company will reveal exciting new clinical results for ULTIMINE Iron, a whole food iron obtained from fermentation by koji culture. 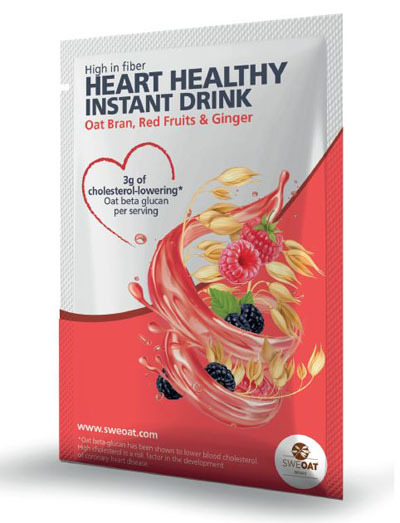 There will also be a focus on the clinically validated heart health benefits delivered by Aronox aronia extract and SWEOAT oat beta-glucan. Developed through a partnership between Naturex and Cura Global Health, ULTIMINE Iron is a whole food iron obtained from koji (Aspergilus oryzae) using a patented fungal fermentation process. Three clinical studies have shown that it is highly bioavailable and is released slowly into the blood. The latter benefit is unique and important, because most iron supplements in the market are absorbed quickly, potentially leading to iron overload. Cardiovascular disease (CVD) is the world’s leading cause of death. The challenge for the nutraceutical industry is to find affordable, effective and natural ways to help consumers maintain healthy cardiovascular functions. Aronox, an extract of aronia that delivers heart health benefits, with significant improvements observed within just one month of use. Its effects have been evaluated and described in a number of peer-reviewed clinical studies, which relate directly to aronia’s capacity to address the two key markers for CVD – high blood pressure and cholesterol. SWEOAT Bran, a high-quality oat fibre bran ingredient rich in beta-glucan. There is a large body of clinical science supporting the ability of oat beta-glucan to reduce cholesterol, which has resulted in health claims approvals by FDA. Multiple studies have also demonstrated that consuming oat beta-glucan contributes to the reduction of blood glucose rise after a meal. This makes it the dietary ingredient of choice for consumers looking to maintain healthy blood sugar levels. “Consumers are instinctively attracted to natural health ingredients that are backed by gold standard clinical studies,” said Timothée Olagne, Naturex’s Health & Wellness VP. “Within our research programme, we are constantly screening and selecting ingredients that have shown superior effects on issues that matter to consumers, such as cardiovascular health and iron levels."